We require a £ 10 per head deposit for all Race day bookings at your time of booking, and full payment must be paid at least 14 days before. Please see our Party/VIP Page to book one of our exclusive packages upstairs or downstairs, we require a £50 deposit for all booth bookings at time of booking which is non refundable. 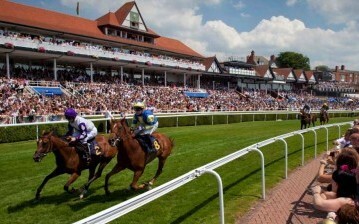 Are you coming from North Wales for Race Day, why not arrange your pre races day out at our other Venue in St Asaph. Fancy a champagne breakfast or just a drink stop on your way down. Plenty of parking for coaches and minibuses just give them a call on 01745 585 080 and book yourself in. Register your email address below for updates and special offers from The Church. Please don't forget to follow us on twitter, or check in on facebook when you get here to let us and the world know that you have arrived at The Church. 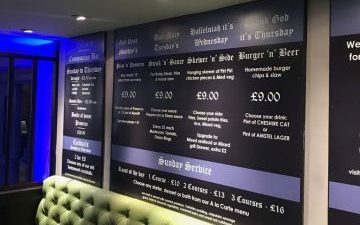 Please feel free to give us a call on 01244 318 854 if you want to book a table or discuss your catering or party needs. 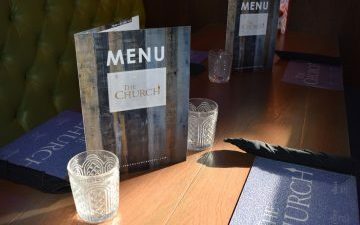 The Church, Bar & Restaurant, Newgate Street, Chester CH1 1DE.